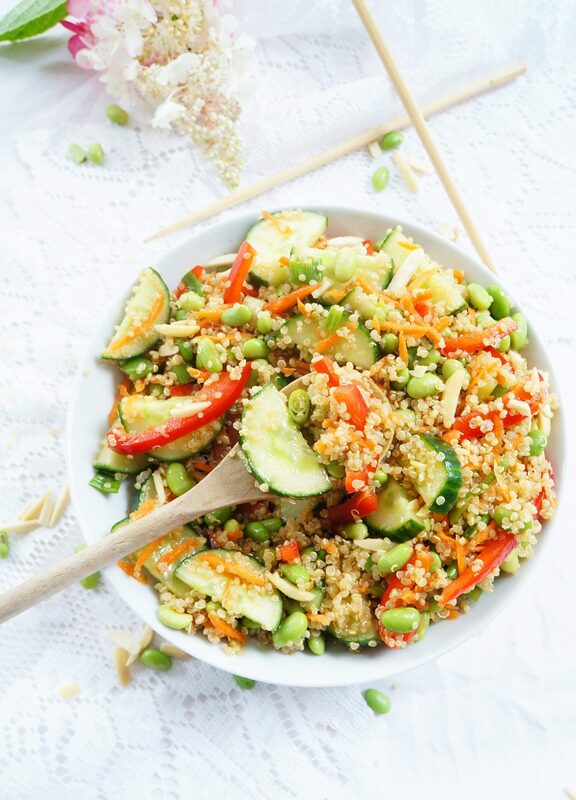 This vegan and gluten-free Asian quinoa & edamame salad is bursting with colour and flavour! 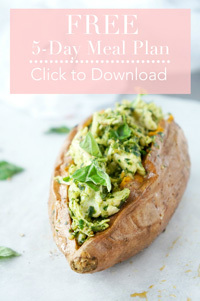 It can be made in less than 30 minutes and makes the perfect healthy one-bowl lunch or dinner! I’ll never forget the time that I first tried this quinoa salad. I was sitting in one of my Monday classes for my Master’s program several years ago. It had been a long day of classes. Some of my classmates and I got talking about quinoa (because that’s what a bunch of Dietitians-in-training do). One of my classmates mentioned that she absolutely hated quinoa. Our prof at the time happened to be listening in. 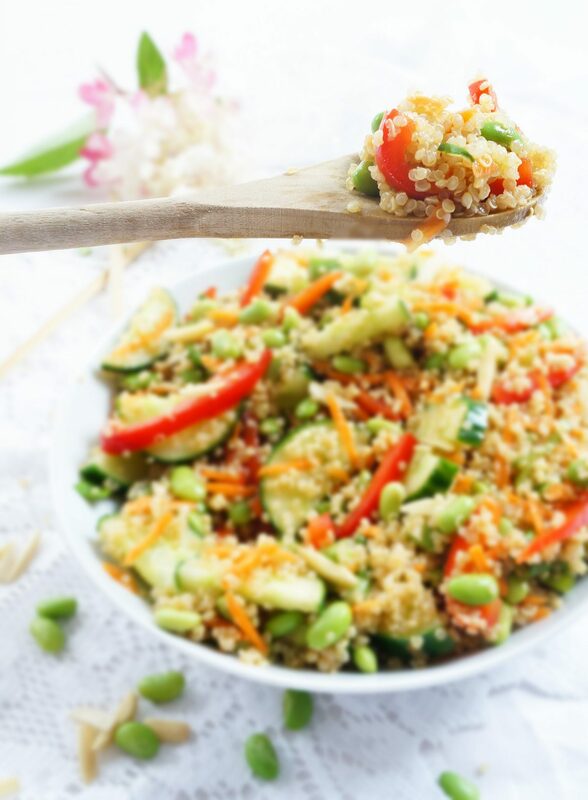 She mentioned that she had this amazing salad that could convert any quinoa hater into a quinoa lover. So of course, we wanted her to prove it. The following week of class, she brought in her famous quinoa salad recipe and even went to the effort to make a bowl for the class as well. We all sampled some and sure enough….. it was delicious. Now I’ve always been a fan of quinoa, so I wasn’t too surprised that I liked it. The one classmate who had originally said that she didn’t like quinoa did confess that this version was pretty darn good. Over the years, I’ve made this quinoa salad quite a few times, and have changed some of the ingredients along the way. What I love the most about this recipe is that the longer you let it sit and marinate in all of those delicious flavours, the better it tastes. Don’t you love those kind of recipes? Each day is just gonna get better and better! Don’t drag out the tasting process for too long though, or it probably won’t taste so good. Another thing I love about this salad is the balance. 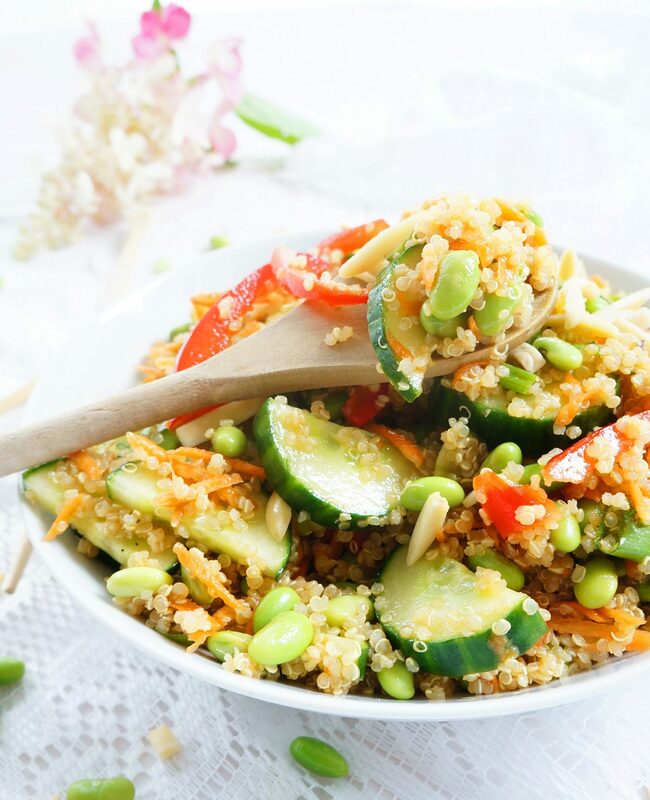 It incorporates fibre and protein from the quinoa and edamame and some healthy fats from the oils and nuts. Plus, there’s a whole bunch of crunchy vegetables to amp up the nutrients and fill you up! 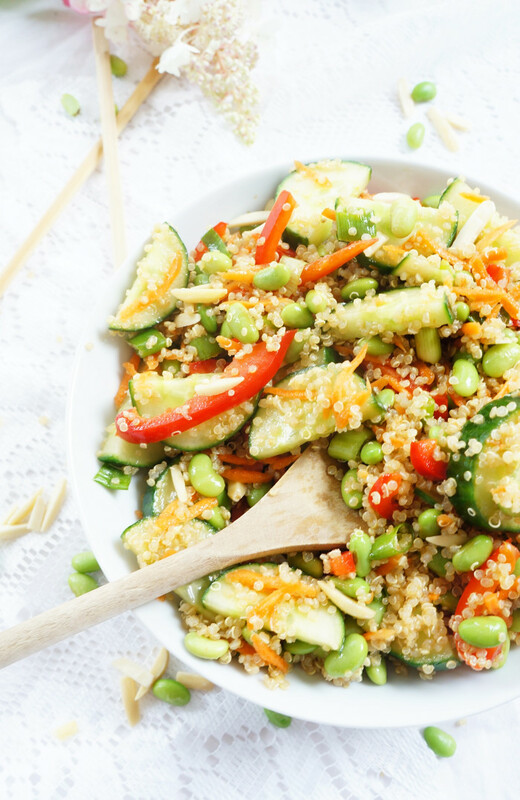 The perfect healthy and colourful one bowl meal! 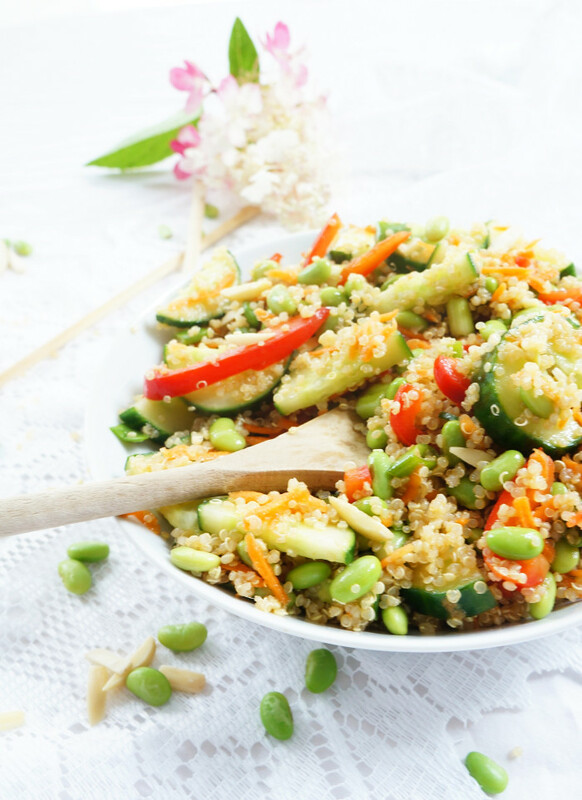 I love to whip up a batch of this salad and eat it throughout the week for lunch at work. It’s makes my life soooo much easier when I’ve made my lunch in advance!! I like to have my quinoa salad served over a bed of spinach since all of those Asian-y flavours seep into the salad. Sometimes I’ll even throw in some chicken or shrimp for lunch or dinner to increase the protein factor and switch up the flavour profile! Rinse quinoa and cook according to package directions. Fluff and allow it to cool. Once the quinoa has cooled down, mix the remaining ingredients into the quinoa. Toss and refrigerate for at least 2 hours. Enjoy! I think I’m getting edamame this week at our CSA!! Perfect timing! Haha it happens to all of us! I positively adore quinoa, but my dad is not a fan. I’m going to try this one and him and see if we can convert him as well. Will report back! Yes Kim, keep me posted for sure! the recipe says unshelled edamame ??? Sorry, it should say shelled!